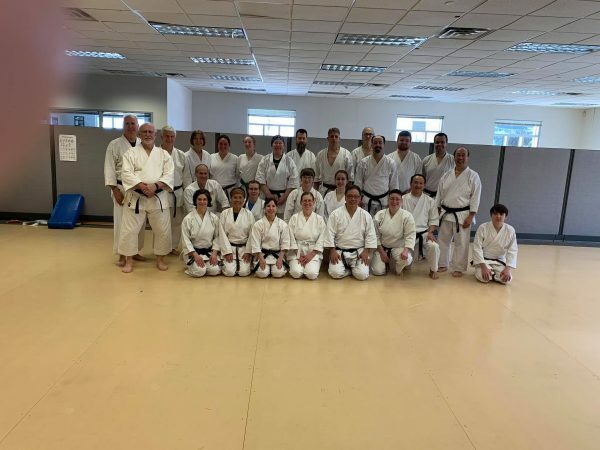 The NCR March 16, 2019 kata seminar was a success. We had students from Mpls, St. Paul, Northfield, River Falls and, Madison, WI., who participated in this two hour kata seminar. The students received fantastic feedback on their kata from numerous instructors from Mpls and St. Paul. The seminar ended with a mock kata competition. The students received feedback from the judges and it gave them the feel of competition against fellow karatekas. The AAKF spring seminar is only a few weeks away. Mark your calendar to attend the annual AAKF spring seminar. Dan examination (all ranks), examiner examination, etc. will be conducted Saturday afternoon by the AAKF technical committee. The AAKF Technical Committee members, Senseis Tabassi, Tong, Cheah, Kageyama, will be conducting the seminar. NCR will be hosting the regional eliminations at the St. Paul dojo Friday May 3 6:00pm at 762 7th St East, St. Paul. The event will determine who will be selected to represent the North Central Region at the 2019 Nationals in LA, CA in July. We will be filling out the Nationals’ registration packets regarding the events they qualify for, signing their waiver/release form, and medical history form. To qualify, you must be an adult black belt, and registered with BOTH the AAKF and WTKF organization. We will be selecting athletes for men’s and women’s individual kata/kumite, team kata/kumite, enbu, kogo, and Fukugo. For youth division, no qualifications necessary other than your rank must be certified with the AAKF organization. Contact Art Wong regarding your interest to make sure you get registered for the various youth events. The following are tentative dan examination dates/location. Check with your club’s sensei as dates/times may change at the last minute. Once you passed your dan examination, you must registered your dan rank with the AAKF office. Cost is $50.00. Make check payable to AAKF. Click here AAKF Dan reg form to fill out. Mail your check and form to MKA – St. Paul dojo, 7th St. E. St. Paul, MN 55106. If you are thinking about competing at the AAKF Nationals, you must register your dan rank with WTKF organization as well. Click here for the WTKF-APPLICATION-FORM. The cost is an additional $100.00 and make the check payable to AAKF as well. The 2019 AAKF National Championship is scheduled for July 16-20 in Monterey Park, CA. The Nationals and International camp will be both be held at the George Elder Gym 1950 Wilcox Ave Monterey Park. Contact Art Wong if you are considering participating at the Nationals in the adult or youth divisions, and/or attending the international camp. NCR may have some money to help with your registration fees, judging and/or camp participation. Click here for more information posted on the AAKF Facebook site. 2019 AAKF Spring seminar – April 26-27 – Mpls dojo. Dan examination (all ranks), examiner examination, etc. will be conducted Saturday afternoon by the AAKF technical committee. Click here to register. 2019 AAKF Nationals – July 16-20 – LA, California, includes dan exams. Held at the George Elder gym. Click here for flyer. For the latest NCR events and newsletter updates, click here. For Mpls dojo events, click here. For St. Paul dojo events, click here. To subscribe to the NCR newsletter, go to the bottom of the NCR website and click “Subscribe to our newsletter“. 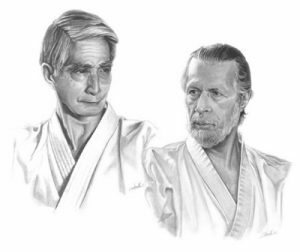 For past Traditional Karate North Central Region newsletters, click here.